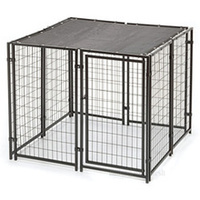 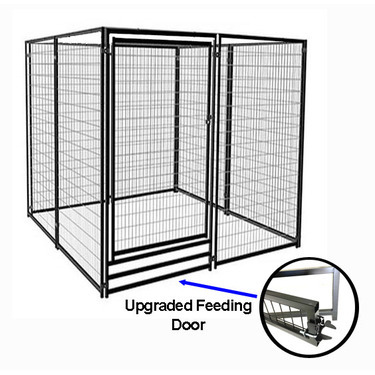 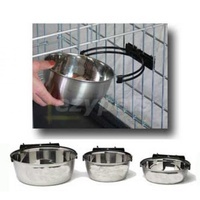 A high versatile modular dog kennel kit that can be setup or pull apart in minutes. 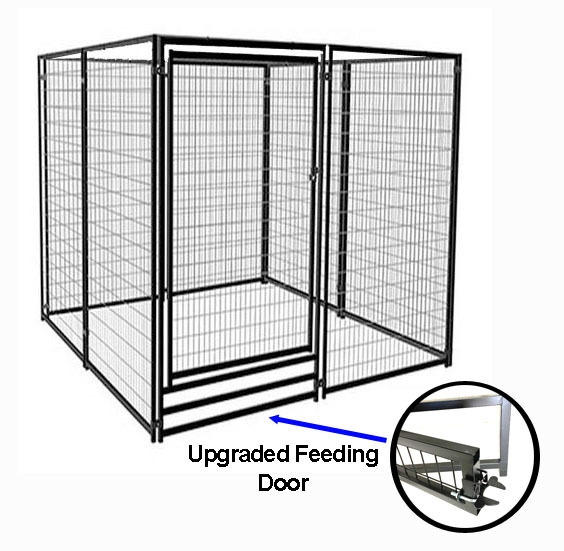 It offers you the flexibility to add / remove panels, change the size and shape, as well as add additional doors and dividing panels to turn it into a multi-compartment kennel in the future. 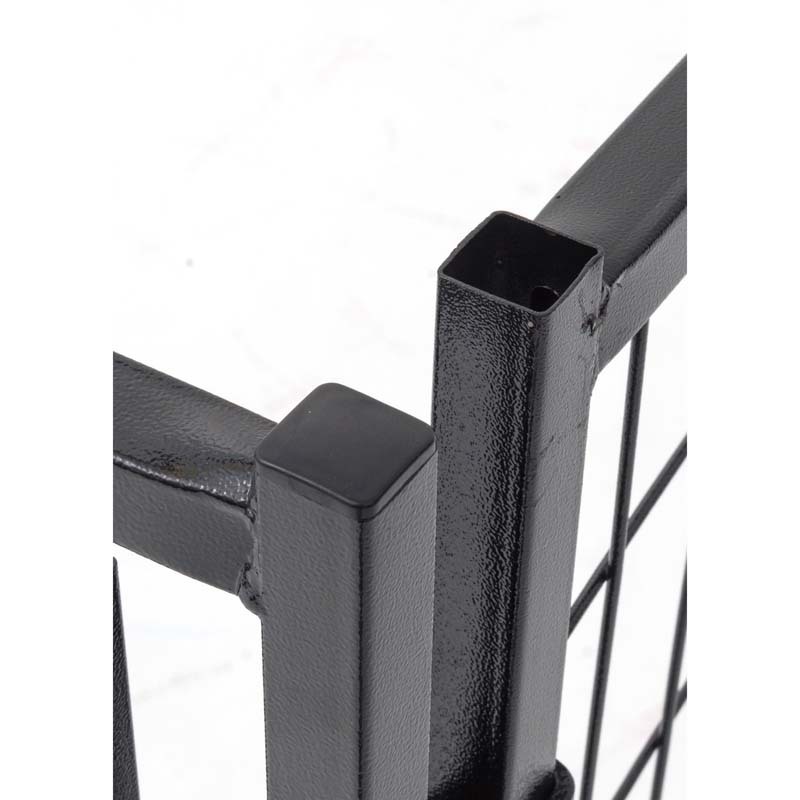 All panels and gates measure 1800mm tall by 1000mm wide, approximately 30mm thick. 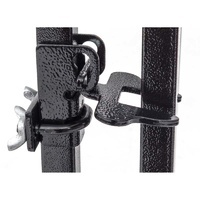 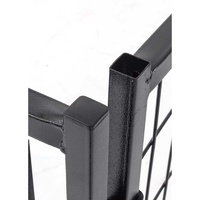 Each panel comes with 2 sets of mounting brackets and bolts. 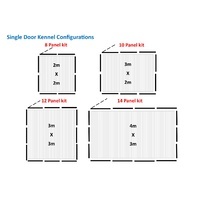 The 8-panel kit comes with 7 wall panels and 1 door panel, providing a 2m x 2m area when setup in square shape. 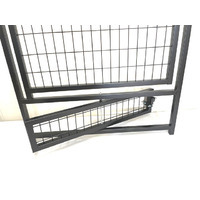 The 10-panel kit comes with 9 wall panels and 1 door panel, providing a 3m x 2m area when setup in rectangular shape. 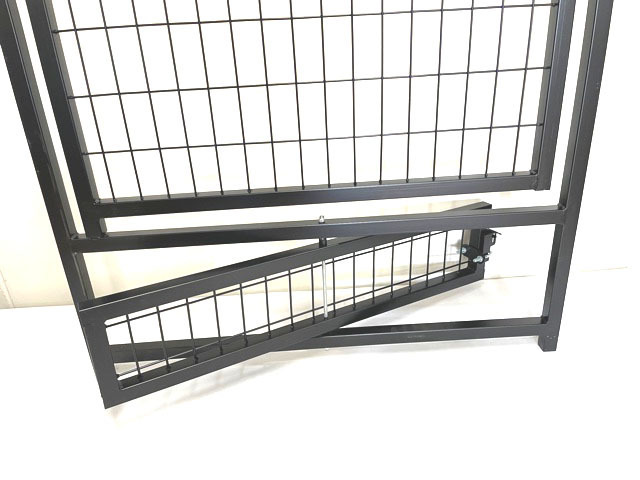 The 12-panel kit comes with 11 wall panels and 1 door panel, providing a 3m x 3m area when setup in square shape. 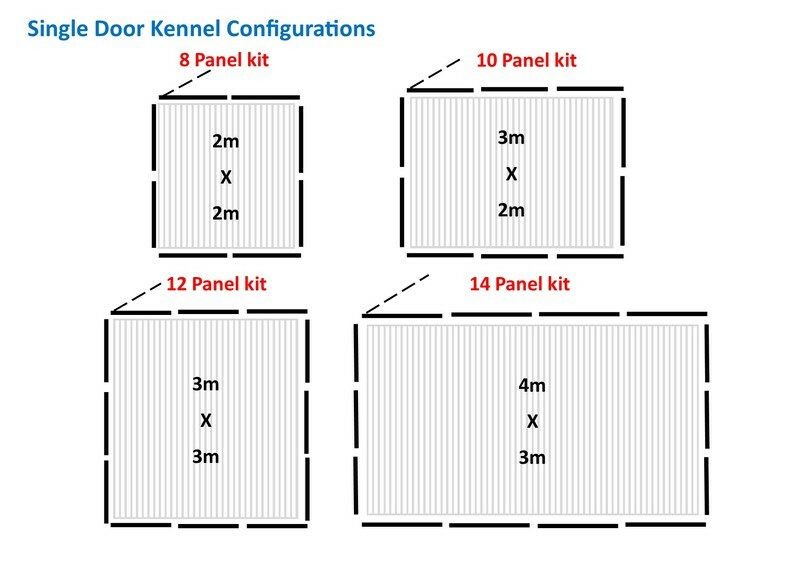 The 14-panel kit comes with 13 wall panels and 1 door panel, providing a 4m x 3m area when setup in rectangular shape. 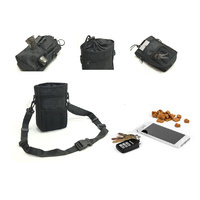 We can build a custom kit for other sizes and shapes, please contact us to inquire. 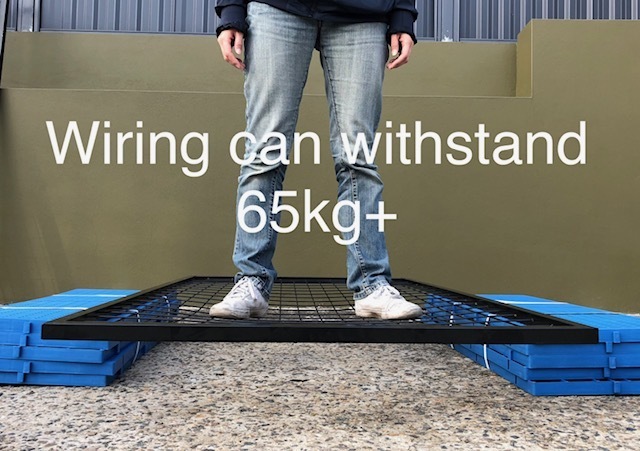 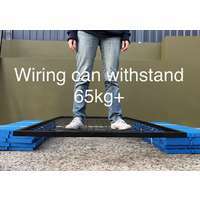 48mm wide x 95mm long, 4mm diameter wiring that can easily withstand a 65kg person's weight without much bending.